PARK CITY, Utah (AP) — In its third major buy of the Sundance Film Festival, Amazon Studios has acquired the world rights for the inspirational comedy "Brittany Runs a Marathon " for $14 million. The film stars Jillian Bell as an aimless 20-something who decides to start getting her life together and train for a marathon. PARK CITY, Utah (AP) — Vice Studios has announced that Amazon Studios has acquired the worldwide rights to the CIA torture investigation film "The Report." LITTLE ROCK, Ark. (AP) — Two years ago, Little Rock native Jeff Nichols wanted to organize special screenings of his science fiction drama "Midnight Special" and his historical biopic "Loving" for his home state. But he found there was no simple way to get the word out, and each time he returned he felt like he was "reinventing the wheel." SOUTH BEND, Ind. 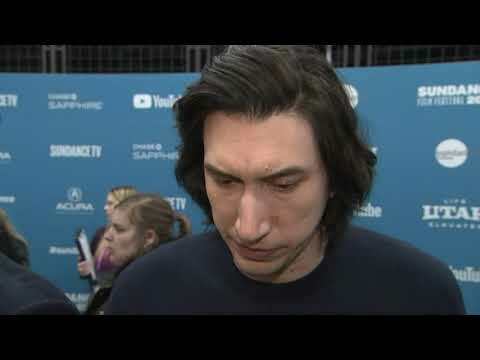 (AP) — A museum official who questioned "Star Wars" actor Adam Driver's recent comments about remembering frequent Ku Klux Klan rallies during his youth in northern Indiana now acknowledges he was wrong. MISHAWAKA, Ind. (AP) — "Star Wars" actor Adam Driver is bringing his northern Indiana hometown's hate group history to light after saying Ku Klux Klan rallies were frequent during his childhood and that some of his neighbors were Klan members. CANNES, France (AP) — In a passionate, expletive-ridden monologue at the Cannes Film Festival, director Spike Lee lambasted Donald Trump for the U.S. president's response to last year's violent white supremacist protest in Charlottesville, Virginia. Lee spoke to reporters Tuesday after his "BlacKkKlansman" premiered Monday night at Cannes to a rousing standing ovation. CANNES, France (AP) — Spike Lee's Ku Klux Klan crime drama "BlacKkKlansman" received a rousing, lengthy standing ovation at the 71st Cannes Film Festival. Lee's film tells true-life tale of a black police detective in Colorado who infiltrates the local chapter of the Ku Klux Klan. It was among the most highly anticipated titles at Cannes this year and immediate reaction was positive. PARIS (AP) — After nearly two decades of problems, Monty Python star Terry Gilliam's long-awaited film "The Man Who Killed Don Quixote" will premiere at the Cannes Film Festival next week after all. A last-minute effort to block the film failed Wednesday, as a Paris court ruled in favor of the Cannes festival and rejected a lawsuit by Portuguese producer Paulo Branco. Branco, who initially worked with Gilliam on the film, claims he also has rights to the movie. Gilliam contests Branco's claims. Spike Lee's 'BlacKkKlansman' will be among the new movies screened at this year's Cannes Film Festival. The 61-year-old director's upcoming crime drama is an adaptation of the book of the same name by Ron Stallworth, and boasts a cast that includes the likes of Adam Driver and John David Washington. NEW YORK (AP) — Spike Lee's "BlacKkKlansman" will open in theaters on the one-year anniversary of the violent protests in Charlottesville, Virginia, where white nationalists marched and a counterprotester was killed. Annette Bening and Adam Driver are in talks to star in CIA drama 'The Torture Report'. The 'Film Stars Don't Die in Liverpool' actress and the 'Star Wars' actor, along with Jon Hamm and Jennifer Morrison, are in negotiations with 'Contagion' writer Scott Z. Burns, who is working on the movie, which examines tactics and ethics in the wake of the 9/11 terrorist attacks. LOS ANGELES (AP) — He might have callously killed his father Han Solo, but like all well-written "bad guys," Kylo Ren is the hero of his own Star Wars story. "He is someone who doesn't think of himself as evil, but thinks of himself as right," says Adam Driver, who reprises his role as the conflicted Kylo Ren in "Star Wars: The Last Jedi." Now we know what Jedi Master Luke Skywalker (Luke Hamill) does when Rey presented him with his lightsaber at the end of 2015's "Star Wars: The Force Awakens." He chucks it over his shoulder. Adam Driver panicked when he was pulled over by the cops - only to find out it was because they wanted a picture. The 34-year-old actor - who stars as Kylo Ren in 'Star Wars' - has recalled how he was cycling down the road one day when he was flagged down by police. Panicking, he wondered what they stopped him, until they asked if they could post for a selfie with him. Adam Driver finds it difficult to watch himself on screen. The 34-year-old actor has appeared to hint that he doesn't like tuning into his own movies. Speaking about 'Silence' - the film he made with Martin Scorsese - he said: "Actually, I hadn't seen it. It was on TV the other night, which I was surprised by. And I'm like, 'Oh, I can watch that. I'm not in a lot of that movie.'" Is there anyting new in the ‘Star Wars: The Last Jedi’ international trailer? Is there anyting new in the 'Star Wars: The Last Jedi' international trailer? Rian Johnson found Kylo Ren "so much fun" to write for 'Star Wars: The Last Jedi'. The 43-year-old filmmaker helms the upcoming eighth instalment of the popular sci-fi franchise, and as said the movie's villain Kylo - played by Adam Driver - was one of his favourite roles to write, as he believes despite the character's evil streak, he is someone audiences can "relate" to. 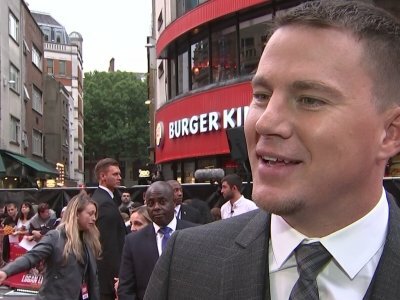 Channing Tatum wants to make good films so he can explain to his daughter why he is away for "months at a time". The 37-year-old actor - who has four-year-old Everly with wife Jenna Dewan-Tatum - frequently has to go away for long periods, so he wants to have a quality finished piece of work to explain his long absences. LITTLE ROCK, Ark. 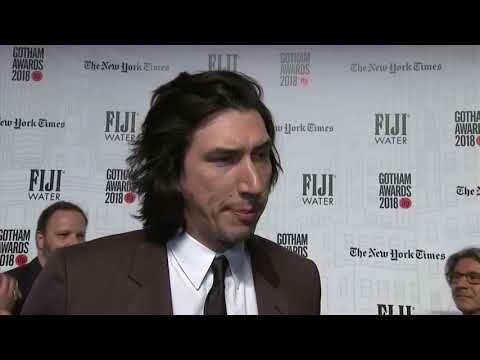 (AP) — Star Wars actor Adam Driver will screen and talk about his film, "Paterson," at a new film festival this month in Arkansas. Jack Throne is going to be creating a new draft of the 'Star Wars: Episode IX' script. The 'Harry Potter and the Cursed Child' writer has been brought in by Disney and Lucasfilm to have a look over the script for the ninth film in the main 'Star Wars' saga which is set for release in 2019. Originally written by director Colin Trevorrow and Derek Connolly - who worked together on 'Jurassic World' - the duo needed a "fresh set of eyes" on the plot, according to The Hollywood Reporter. Opening gross (inflation-adjusted): $251,956,900Total box office gross (inflation-adjusted): $955,737,500Starring: Harrison Ford, Mark Hamill, Carrie FisherThirty years after the defeat of the Galactic Empire, the galaxy faces a new threat from the evil Kylo Ren (Adam Driver) and the First Order. When a defector named Finn crash-lands on a desert planet, he meets Rey (Daisy Ridley), a tough scavenger whose droid contains a top-secret map. Together, the young duo joins forces with Han Solo (Harrison Ford) to make sure the Resistance receives the intelligence concerning the whereabouts of Luke Skywalker (Mark Hamill), the last of the Jedi Knights. Fans got an early look at 'Star Wars: The Last Jedi' as the first trailer was released on Friday (04.14.17). Smart Rating: 94.85Starring: Harrison Ford, Mark Hamill, Carrie FisherOriginal: "Star Wars" (1977)Smart Rating: 98.75Thirty years after the defeat of the Galactic Empire, the galaxy faces a new threat from the evil Kylo Ren (Adam Driver) and the First Order. When a defector named Finn crash-lands on a desert planet, he meets Rey (Daisy Ridley), a tough scavenger whose droid contains a top-secret map. Together, the young duo joins forces with Han Solo (Harrison Ford) to make sure the Resistance receives the intelligence concerning the whereabouts of Luke Skywalker (Mark Hamill), the last of the Jedi Knights. U.S. box office (inflation-adjusted): $935,195,600Smart Rating: 94.85Release year: 2015Starring: Harrison Ford, Mark Hamill, Carrie FisherThirty years after the defeat of the Galactic Empire, the galaxy faces a new threat from the evil Kylo Ren (Adam Driver) and the First Order. When a defector named Finn crash-lands on a desert planet, he meets Rey (Daisy Ridley), a tough scavenger whose droid contains a top-secret map. Together, the young duo joins forces with Han Solo (Harrison Ford) to make sure the Resistance receives the intelligence concerning the whereabouts of Luke Skywalker (Mark Hamill), the last of the Jedi Knights. NEW YORK — Adam Driver — the tall, lanky actor who has Lena Dunham's "Girls" and Noah Baumbach's "While We're Young" on his resume — is invited to Martin Scorsese's house to discuss a new project.